Sunderland’s Duncan Watmore is likely to miss the remainder of the season after suffering ankle ligament damage. 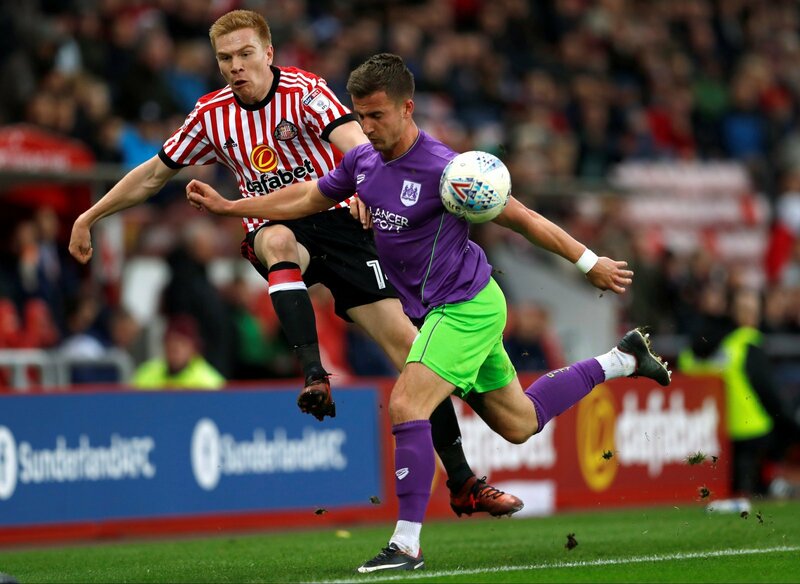 Watmore, who has only just returned to action of almost a year out, was on the end of a crude challenge by Wycombe’s Marcus Bean in the dying stages of Saturday’s 1-1 draw. Bean received his marching orders for the challenge, made shortly after 25-year-old Watmore had bagged a late leveller for his side. Jack Ross delivered the news on safc.co.uk, revealing that the unlucky winger is expected to be out for eight to ten weeks, but that the injury is in no way connected to the knee trouble that has plagued his career so far. “The likelihood is that Duncan will miss the rest of the season,” he said. Watmore, who joined the Black Cats from Altrincham in 2013, earned 13 England Under-21 caps before two serious knee injuries derailed his early promise. You only have to see how much football Watmore has got since coming back to understand what a huge blow this is. He’s such a talent and to suffer yet another injury will be a huge psychological blow. He’ll be feeling a lot of anger at the moment, towards the player whose cynical foul led to the injury and at his fitness in general.